William Thornton blogs at the SBC Plodder. Our wonderful Cooperative Program has done well in funding the panoply of state and SBC missions, seminaries, and entities over the last 87 years. It is not a perfect stewardship vehicle but is has been and is our main channel for cooperation. SBC life as we know it is unimaginable without it. As it stands now, the state conventions keep, on average, about 62% of each CP dollar for their own use, a figure well within the 60 to 65 percent range that is the historic average. Question: How much of each undesignated Cooperative Program dollar should be enough for the state conventions? After the Great Commission Resurgence there was a move to give more of the CP dollar to missions and, concomitantly, for states to keep less. A 50/50 split was the declared goal of many state conventions including the Florida Baptist Convention. As I suspected/predicted almost two years ago when the FBC voted overwhelmingly for a 50/50 split, it is one thing to designate a 50/50 goal but quite another thing altogether to actually do what is necessary financially to get there. It looks like the FBC, with predictable regrets, may abandon the goal of a 50/50 split. It hasn’t happened yet but the groundwork is being laid by convention leadership and the matter is being discussed. I suspect that a rollback from the 50/50 goal is as sure an outcome as is the rising of the sun over the Atlantic rather than the Gulf of Mexico. Baptist Press reported the other day about how ‘Liquidity challenges’ may loom for Fla. convention. ‘Liquidity challenges’ is a fancy way to say that the FBC cannot meet its current financial obligations. The story condensed opposing viewpoints of two Florida Baptist leaders (I do not think that the two opinion pieces in the Florida Baptist Witness are available online just yet). One view was that FBC spending must be cut to continue on the track to a 50/50 split while the other view implied that it was more important to keep CP dollars in Florida. The proposed 2013 FBC budget keeps 58.5%, over $18 million, in the Sunshine State for “viable ministry.” in Florida where there are about 3000 churches and missions and a million members? That is better than many state conventions. No doubt the speaker supports international missions but differs on the funding proportion, implying that to do “viable ministry” in Florida requires the FBC to keep much more than half of every CP dollar. One must acknowledge that state conventions have suffered far more in the last few years than other SBC entities. The FBC executive director claims that his state convention has suffered more than any other in this regard. Budgets have been slashed and then slashed again. Jobs have been cut. The question is whether or not churches value the work of the state conventions such that they are willing to continue allot over sixty percent of every CP dollar to in-state ministries or if this legacy allocation formula needs to be updated for the 21st Century. Since the Florida Baptist Convention is on a defined track to keep less in-state and give more of that CP dollar to SBC entities, mainly the mission boards, the question for churches is this: Do we believe that it is proper to cut international and north American missions funding to continue the same funding level for ministry expenses in our state? Reading Baptist tea leaves is difficult but my sense about these funding decisions is that state conventions will do what is necessary to continue the historic funding proportions and we will never see anything close to a 50/50 split. As a result partly of that, churches will continue to give less to the Cooperative Program. But to go back to my highlighted question above, just how much of each CP dollar should state conventions keep? Although Florida CP giving is in the news, it is a poor example of southern CP allocation. Why? It is two different states in reality; ask the politicians. When you consider Orlando and Miami alone, the world is coming to Florida. Arbitrary percentages can hurt the argument. However, I understand and appreciate your heart. Rather than ruminate on how to properly utilize the diminishing resources, it would be wise and prudent to ask God to humble us, admit openly and candidly that there is and has been a woefully flawed soteriology and ecclesiology operative in the SBC and seek His face. Correct those two issues, see God fill our ranks with those who are truly redeemed and the finances will be adequate and more to accomplish our global initiative to take the gospel to lost people from every tribe, tongue and nation. I pray earnestly that He brings this posture to us soon. #1 – we cannot find 60% of the 16 million and we have the unmitgated audacity to continue to perpetuate this charade. Redeemed people do not abandon the church. That figure is a flat out lie. We know it and so does the watching world. Why – because a vast majority of them are not regenerate. #2 – we have a seriously flawed metric. We claim to make disciples but all we measure is baptisms. The metric of the SBC is “how many, how much and how often!” We must accuratley define with exegetical substance and support what a disciple is. Then, we must implement disciple making processes that result in that kind of disciple. We must abandon this “kinda-sorta” mentality and practice transparent accountability measured by an objective metric. #3 – The church is a body. When one part of that body is dysfunctional the entire body suffers. We must change the dysfuntional DNA that abounds in many/most churches. If and when we do, the LORD will shower us with His richest blessing. Isaiah tells us that God dwells with a people with a humble and contrite spirit and who tremble at His word. When we collectively meet that profile our God will rejoice to bless us. The question should be – How long will the Churches put up with State Conventions that keep more than 50%. We hold the answer in the Local Churches. If they don’t do what the Messengers approve – then cut local church giving through the State Conventions. Tom, we can both desire revival and renewal and at the same time deal with the reality on the ground. Jim, it is opinion not tied to anything empirical but my sense is that the long trend of declining CP percentages is partly due to a recognition of the division between states and SBC. Anyone willing to state what they think a proper division between states and SBC should be? My proposal for a proper division would be seen as extreme and radical. 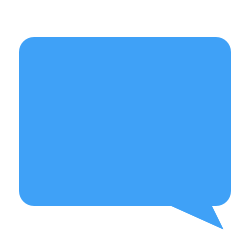 If State Conventions would get out of the real estate business and slim down and get mobile we could do with a 25% (state) – 75% (SBC) split. I really believe we are keeping an archaic organization (the state convention) going when it really needs to be phased out. You are not much more radical than the immediate past SBC president who said that state conventions should do with half of what they are now receiving from the CP. I do not agree that state conventions are archaic. They serve a legitimate purpose in SBC life. I’d be delighted for you to send me a list of those legitimate purposes of a state convention. Sure: Church financial services, interpreting GuideStone stuff for churches and esp. ministers; an overall strategy for church planting; Resume services; CP promotion; disaster relief coordination; I am not so keen on colleges…there at others. Individual churches generally have a limited strategy and vision. Associations are very uneven in pastoral support and local missions, leaving the state body as the best provider of many services and ministries. The legacy functions of schools, orphanages, and hospitals have changed, seems to me and the states have yet to adequately redefine their role to the churches. The issue is really that the local church must do what the local church is to do. And to the extent that the State Association is there to assist the local churches in doing what they are to do, that is the State Association’s primary responsibility. If the State has to keep more to fulfill its responsibility, then so be it. And from the #1 fact that Tom pointed out, the job’s not getting done. It appears that pride has overtaken us again (look how much we send overseas) … if it ever left, that is. There doesn’t seem to be any shame in the folks that aren’t here any more, that we can’t see. That God sent us when we exalted Jesus, and whom we failed to disciple. And it’s a real shame when we look to the accountants to tell us whether we’re doing the job or not. Let me do some accounting. Which is more? 50% of 100 or 10% of 1000? The answer is not getting more from fewer people but getting less from more people. As long as we give the bulk of our Church’s Mission’s Offerings to State and National Causes the longer we will be starving the local Missionary Army which is the largest force for Christ this world has ever known. I’m talking about the Baptist Association. Left out of the Cooperative Program Formula because of insurmountable logistics – we have relegated this mission organization, the first and closest to the churches to the status of neglected and starved step-child. If you want to see CP offerings increase across the board – Put more resources in the hands of the local Baptist Association and watch this massive army of volunteers revive and grow. That’s why my church gives more to the Local Baptist Association than we do to SBC Causes. Why not tie state convention decreases to megachurch CP giving increases? If the average from our megachurches is about 3%, let them push to 4% and the state can go from 58% to 57%. Then as the megachurch average pushes to 5% the state can go to 56%. About the time our megachurches get to 10%, our state conventions will be close to 50/50. The megachurches have been stealing our tithers through transfer growth, changing them from being 10% CP tithers in the neighborhood church and turning them into 3% CP tithers in the megachurch. Therefore, putting all of this on the state conventions is misplaced blame, in my humble opinion. No question, Rick, that megachurches give less percentages to the CP than the average but I don’t think that megachurch giving or lack thereof accounts for much, certainly not most, of the declines in state convention budgets. I do not think you can find data that demonstrate that megachurch giving “pushes” the average church CP percentage down in any significant manner. If you do I’d like to see it. There just aren’t that many megachurches and CP percentages are down across the board, not just for megas. There is a typical outcome to these discussions that blames ills on megachurches. Perhaps some is due but placing blame, rightly or wrongly, doesn’t change any of the present realities. I don’t think my state executive sits around and blames the several SBC megachurches in GA for the deep cuts in his budget, as if getting 10% from every church including megachurches was a state convention birthright. The question I ask is for you and your church and any other pastor or layperson. How much do you think state conventions should receive from your CP dollar? This story may highlight a relevant factor related to the questions that you are asking, William. The future of state-convention budgets cannot be separated from the future of the relationship between state conventions and the institutions that state conventions have founded. For the past 20 years, in my opinion, the nature of that relationship has been that the institutions have dictated the terms and the state conventions have continued to provide the money, no matter what. Is the wind starting to blow in a different direction? Apparently, that wind blows in different directions in different states. Here in GA our best rated school, Mercer, is out but we are holding onto three smaller and less reputable schools and increasing funding for them. Those expenses make up about 10% of the GBC budget. I am not certain of how the average Ga Baptist feels about funding these colleges. We could probably do with two instead of three and not miss anything. By the “new wind” I mean the idea that state conventions are less willing to have terms dictated to them. Even in GA, it seems to me that the balance of power is shifting somewhat. Those colleges receiving funding from GA are receiving it because they (unlike Mercer) are willing to meet the demands of the state convention, right (the objections of some faculty member notwithstanding)? I think it ought to be noted that some Baptist colleges and universities are much more dependent on the state convention funds than others. Mercer didn’t need the GBC. But if the GBC reduced giving to Brewton-Parker College—literally just about any reduction—it would be forced to close doors. Granted, Brewton-Parker is on the extreme end in terms of dependency. Look at Houston Baptist under Sloan. HBU has certainly shown its willingness to buck the state convention. We still don’t know how that will play out. But so far, it looks like HBU is doing the dictating. Jim Shaver is right when he says the answer is with the local churches. Maybe not in the way he meant it though. If churches would increase their giving through to the cooperative program through their state conventions, the state conventions could give more to the SBC CP. 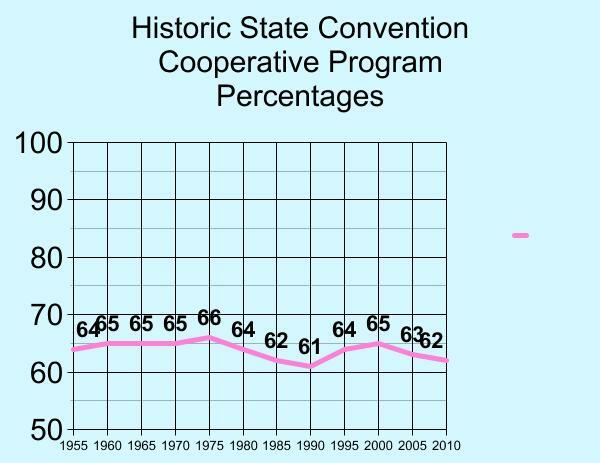 There was a time when the goal was that local churches give 10% to the cooperative program through their state convention. Many SBC leaders, including former SBC presidents, pastor churches giving 2 – 5 %. My church has never given less than 10% and often much more. That means when I drop $1 in the offering plate at my church 10 cents goes to the cooperative program. In most big churches only 2 or 3 cents would go outside their local church. Local church messengers already approve those state convention budgets. They realize how important the ministries of the convention are to missions in their state and support for local churches. State conventions also support the Lottie Moon Offering to international missions and Annie Armstrong offering to home missions. I was supported for many years by giving to the national cooperative program and the Lottie Moon Christmas offering but I also realize that we need our state conventions to remain strong to support the work of our national SBC. We were told many times by the leaders of the IMB to encourage support for our state conventions and giving to the cooperative program through their state conventions. The problem is not the state conventions but the poor model of support to the cooperative program by many of our national leaders. I think a clear definition of the roles and relationships between NAMB, state conventions and local associations is the real need here. All three take credit for much of the same work and ask for funds to support much of the same work. If we can define who is to do what, we can then set budgets to fit the work. Until then, we force all three to become cash competitors. Alas, here I stand, lantern in hand, in a lonely and thankless search for one brave soul in all of the vast readership of SBC Voices who will actually answer the question: How much of each undesignated Cooperative Program dollar should be enough for the state conventions? It is incontrovertable that churches think the Cooperative Program deserves less of their offering plate dollars. But for that 5.6% that does go to the states through the Cooperative Program, how much should the state keep? The initial agreement, as I understand it, was to work toward 50/50. I think that’s a good number. But if a state convention CAN give more to fund work in the entire remainder of the world…well…generosity is a good thing, right? You mentioned Florida. I believe you have greatly mischaracterized what is happening and the commitment to get to a 50/50 split. The State Convention approved a 7 year plan of implementation. The 2013 budget follows that plan increasing by 1% funds earmarked for SBC Cooperative Program (now moving to 41.5%). Some of the comments here suggest there has not already been significant downsizing. Since 2005 the Florida Convention has pared $10 million out of the budget and downsized staff by 53 employees or 25% of its workforce. The staff has received no cost of living or merit increases in 6 years. They have begun selling properties. There is great commitment to doing what has to be done to reduce expenses, yet increase effectiveness. The 7 year plan anticipated a 4.76% increase per year through 2018. It’s only prudent to discuss what that means if those targets are not reached. That is why the “liquidity challenges” were mentioned by the auditors. This does not, however, represent a shift in commitment. In Florida there was no giving increase this year, yet the plan was followed shifting an additional 1% of CP dollars to SBC entities. There is a dual part of this formula. Yes, conventions must slim and ship out more dollars – no doubt – but churches must also increase in their giving. In Florida, some of the most vocal proponent of the 50/50 allocation have yet to make any increases in their giving, which they said they would do. I appreciate your article as a point of discussion, but I find your conclusions and characterizations inaccurate. You said, “It hasn’t happened yet but the groundwork is being laid by convention leadership and the matter is being discussed. I suspect that a rollback from the 50/50 goal is as sure an outcome as is the rising of the sun over the Atlantic rather than the Gulf of Mexico.” I wholeheartedly disagree. James, thanks for the additional insight into the matter. You disagree with my conclusion. Do you mean that you think the convention will stick with the plan and do whatever cutting is necessary to get to 50/50? Or, do you think giving will increase sufficiently to get there without more cuts? Yes I do believe they will continue working toward 50/50 following the outlined 7 year plan. The 2014 budget will be very challenging if income does not increase. If any changes have to be made to that plan, I feel it would be in extending the implementation schedule another year or two, not in changing the 50/50 goal. That’s pure conjecture on my part. Nothing has been said other than working the plan. It will be interesting to see how this plays out. I hope you are right. Each state convention is different. Some in the pioneer areas have less money to work with than others. You are probably asking about traditional state conventions in the south. Even there, some have more local ministries than others. I am an Arkansas Baptist and that is the only state convention I speak with much knowedge about. I believe we send 41% or 42% to the SBC Executive Committee. We also have important ministires in Children’s Homes, disaster relief, church planting, camp grounds and others. I have not problem endorsing those ministries and the others that we do. I also know our convention leadership would like to give more to the SBC CP. As I said, if more churches would give 7 – 10 percent to the CP we could give forward 50% on to the SBC. Are you saying that you think 58/42 is about right? 2. What churches need is inspiration. Bold moves by the state convention as an institution are more likely to inspire churches to give than are excuses or complaints. And I fear that “We would give more if you would give more” would come across as an excuse or a complaint. A move toward a 50/50 split, however, is a bold and sacrificial move on the part of an established state convention. That kind of commitment inspires. Or, at least, it will inspire in the case of the first several who do it. Those who are at the back of the trend may be in trouble. But I don’t know that they are. 3. I can’t think of a third point, but as a Baptist preacher, I really feel that I should have one. It just occurred to me that the first thing I ever spoke from the floor of the convention was that we seem to have forgotten that God is our source of supply, not the individual churches or the individual members. It occurs to me that such may be the case, now. I believe God pays for what He wants done, so if He’s not providing the money the CP folks think they need, perhaps they need to ask themselves what it is they’re doing that God doesn’t like, or what they’re not doing that God wants them to do instead of what they’re blowing money on now. Looking at this chart this time (I’ve seen these charts before over the years) it dawned on me that we give twice as much to seminaries as we do to the IMB. This will never happen but I think a much needed reform is to close all the seminaries but one (maybe two, one on each coast). This would allow us to do more with less money. Seminaries get about 8%; IMB about 19%. Sorry for the tiny font for the legend. Sorry, William. I got my colors crossed. However, it doesn’t really change the fundamentals of my argument. The seminaries are fairly well entrenched in the SBC budget…and I am old enough to remember when there were cigarette commercials on TV. I really do respective everyone’s view, but I do have a different opinion. I guess from my perspective I see the priority in scripture as going, making disciples, among the nations “ethnos”. I do not see the largest priority use of our money being that we need to keep the vast majority of our money here in the most evangelized country on the world. Do not misunderstand, we must evangelize our peers. We can do that without any more money to anyone. The problem is , people simply do not witness. IMO, more money to state conventions will not change that. We have plenty of so called believers right here in America to get the job done, and we refuse to share the gospel. Money is not our problem, our hearts are the problem. From my perspective, the state conventions keeping the vast majority of the money we give to the CP is not the best use of CP dollars. I realize I may be a minority but this is what I think. I personally think more needs to go to the IMB or whatever entity a church deems important, to get the gospel to those who have never had a chance to hear the gospel. At least give them one shot at responding to Jesus. From what I see 6000 people groups with no gospel or church ought to haunt us daily in SB life, but it does not. In all honesty I think we could care less. The IMB continues to cut back on missionaries and work among the unreached due to budget cuts. IMHO there should be a greater priority of CP funds going to the IMB to at least try to get the gospel to those who have no clue who Jesus is . Maybe the mega’s are on to something new and right? Maybe God is behind their shift in mission priorities , in the right direction? Maybe we ought to reevaluate how we spend our mission dollars? I find this odd, William. You’re a big proponent for Baptists being Baptists. If we don’t like how the state conventions funnel and use money, aren’t there mechanisms for dealing with that directly? Larger local churches probably tend to retain more money, too, for similar reasons that state conventions do: when you can fund more things, you tend to do so, and in low revenue years you tend to keep them funded. Nothing stops a church from giving around the state convention either. Particularly, the LM and AA offerings are specifically designed to provide an outlet to give directly, respectively, to international and domestic missions so that members can influence the total giving if they feel particularly strongly that directly funding missions is in their own, personal “ministry calling”. I’m not sure what was odd about all this. The mechanism for proportional division is working in Florida towards a 50/50 split. There is a liquidity bump in that road which I predict will lead towards the FBC rolling back the 50/50. What you called “baked in” concepts I call legacy funding formulas and we agree on that. The last time I checked it the two mission offerings were declining at a lower rate than CP gifts, meaning that churches were prioritizing those over the CP. I like my state convention and all the people involved in it but they face a daunting task in reversing the steady slide of giving to their causes. NAMB and the IMB can make their cases much more easily.